Bathe in relaxation with this mango, papaya and melon scented bath fizzy. Bring the aromas of sweet mango, papaya and watery melon into your bathroom with this large sized melon ball bath fizzy. This project comes with bath bomb molds to make this easy. Use the molds to create the ball shaped, and if desired use them for packaging as well! You Save $32.61 by purchasing this kit rather than buying the items separately. COMMENTS: This kit has everything you need to make the bath bombs. The fragrance is great!!! "A good kit for beginners"
COMMENTS: This kit came with detailed instructions that are perfect for beginners. The kit actually made more than the instructions said, so it was like a bonus. COMMENTS: These turned out ok.
WSP Response: Emily, try not to twist the top and bottom and just press the two sides together tightly. Then, remove top and brush away any excess. That might help hold them together better. "First Timer at making bath bombs"
COMMENTS: I was really nervous about making bath bombs and this recipe was a good value to try it out. I love the more natural approach that this bomb offers. These bombs are large and weigh almost a half a pound. I had one out of the six to come apart but that was fine since I labeled it could be for 2 uses. The melon fragrance is very nice. Reminds me of a sweet tart. The fact of using very minimal alcohol was also a plus. Will purchase again. Nice product. Thank you. COMMENTS: This recipe is much easier to use than others, though I will probably add a bit more of the oils the next time I make it. Had minimal problems getting the two halves to stay together, but all in all worked well. Ended up with 5 out of 6 that stayed together. COMMENTS: These are great. My first successful bath bombs! 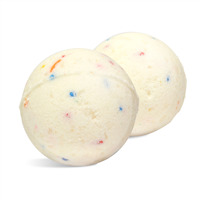 I think I will add SLSA and Poly 80 with my next bath because I have heard good things about them in bath bombs though. I'm really happy these went well and excited I got them to work. COMMENTS: I was so excited to test out my bath fizzie kit. Since it was my first time making bath bombs/fizzies i needed to follow directions to an exact. It was easy to use following the directions they were simple enough to get the point across but still detailed to give a visual. I had an enjoyable time making them and the Melon Ball Fragrance Oil was just an amazing scent that takes over a room in a delightful aroma. I would definitely order this again and suggest to my friends. • The buyer with larger fingers. COMMENTS: This was a quick, easy and fun kit to do. Smells nice too. I can't wait to use it.
" 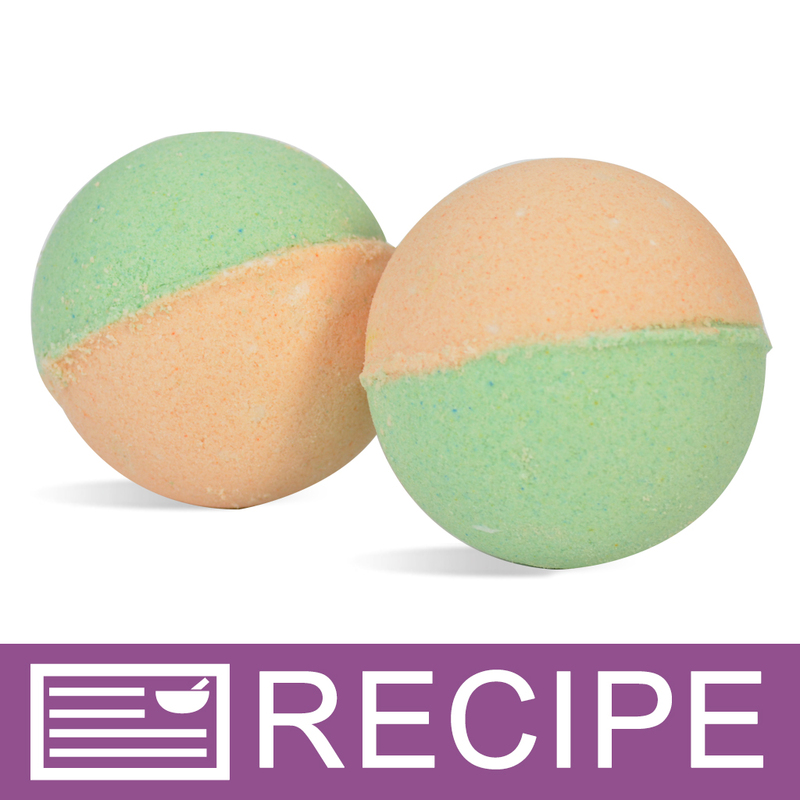 Melon Ball Bath Fizzie Kit"
"Good base recipe but needs some tweaks "
COMMENTS: I've been playing with numerous recipes lately and decided to try this one out. The scent is great and the ingredients all work well together. 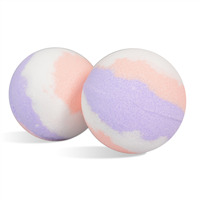 The only huge complaint I have is that the colors need polysorbate badly or they will separate and just float at the top of the water during the bath. They also stain the tub like crazy! Following the recipe also gives you a completely different set of colors than what is pictured. The green is a dark green with the pink being a bright orange. The colors together in water make a lime jello color for the water and a baby poo colored ring around the tub. Again, I would highly recommend mixing in some polysorbate and hopefully that will keep the colors from separating and just floating in clumps on top of the water. • Swap Shea butter for coconut oil. COMMENTS: Being new to making these I purchased this kit to practice. I ruined a whole batch. I'm in a humid area so there was a learning curve. I found it helpful to leave in the mold overnight before taking it out. 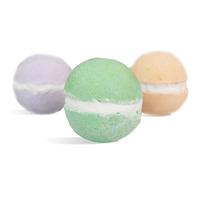 Once you get your mixture perfect these will give you the perfect bath bomb. • The Melon fragrance oil, is Amazing! • Price for the kit is great! COMMENTS: I really enjoyed this kit. This was the first time I used Shea butter in my bath bombs. It was amazing. COMMENTS: I had tried SO MANY recipes for bath bombs, including one from a big name competitor, to no avail. I couldn't understand what was the issue and ultimately thought it was me! On a whim I bought this kit and was so happy with it!!!! The bombs got rave reviews for their moisturizing properties, how well they held up, as well as the size and bubbles! I will only use WSP' recipes from now on!! COMMENTS: So this was my first attempt at bath bombs and it came out great. I enjoyed it so much I started making my own recipes. If you want to add a new product to your line the kits are a great way to decide if you like it. COMMENTS: I absolutely love the smell of this melon, reminds me of summer when it's winter here. COMMENTS: This kit was so awesome for helping learn how to make these awesome bath bombs. And the Honey Dew Melon fragrance oil is so nice! "Does the melon FO have mango in it or does it just smell like mango? I'm deathly allergic to mango so I need to know before purchasing this"
Our fragrance oils are synthetic which means they are derived from chemicals. We are unable to view the full ingredient list but this fragrance should be usable for you. We strongly suggest using the FO on a small test area for verification. "Could the 1.75 molds be used instead of the size included in the kit? If so approximately how many would they make? Those included in the kit are out of stock." Staff Answer Yes, you can use whatever size mold you would like for this recipe. Because we have only tested this recipe with the 2.75" I cannot say how many smaller bath bombs this recipe will produce. "I tried making these today and for the life of me, I cannot get the two halves to stick together! Each half is tightly packed, but they won't join - I've tried adding more to the middle as a "glue" and couldn't close the mold, and then I tried with a little less to get the mold to shut, and still no luck. Any suggestions would be great!" "Can the oil in this fizzie kit be substituted with a different one, such as Sweet Almond oil?" Staff Answer Yes. We recommend testing all substitutions in a small batch before making a larger batch for retail. You alone are responsible for product and recipe testing to ensure compatibility and safety. If selling, you would need to change the INCI ingredient listing to reflect any substitutions or changes to our original recipe.